There’s no other railway in the UK like it. The Settle to Carlisle Railway is undoubtedly the most beautiful and spectacular line in the country. The 72 mile route begins in Settle in North Yorkshire and ends in Carlisle, passing through stunning countryside and over remarkable viaducts. There’s hardly a dull mile on the journey. It was built by the Midland Railway company who needed a fast route to Scotland to compete with their rivals. Construction work began in 1869 and the line opened for goods traffic in August 1875 and passengers in May 1876. Trains run from Settle to Carlisle and are operated by Northern Rail. 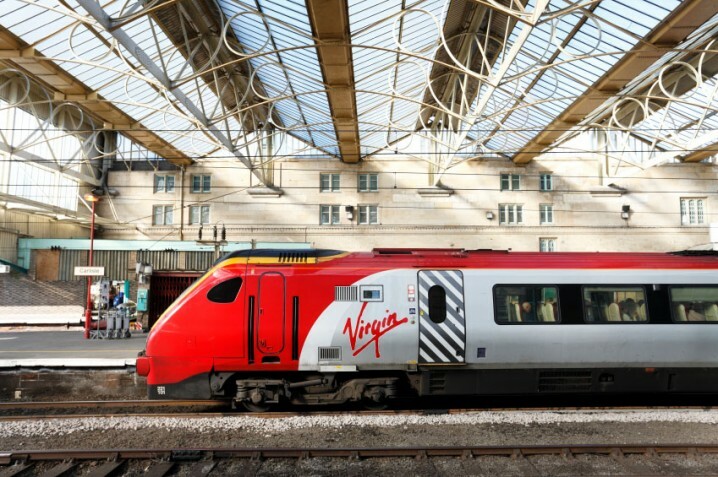 Fares and train times can be found by visiting the National Rail Enquiries website. Railcards are valid and local residents can purchase a Dales Railcard which also gives discounts. The journey time is around 1 hour and 45 minutes. The regular trains running on the Settle to Carlisle Railway are diesel powered and operated by Northern Rail. All steam trains on the railway are run by private charter companies. Statesman Rail runs the Fellsman on Wednesdays during the summer. Other tours can be found on the UK Steam website. There are 11 stations on the line. All, with the exception of Carlisle, were designed by John Holloway Sanders, company architect for the Midland Railway. They are all of the same design, nicknamed Derby Gothic. The stations are painted in with the maroon and cream colours of the Midland Railway and built with whatever stone was available locally. From south to north the stations are: Settle, Horton-in-Ribblesdale, Ribblehead, Dent, Garsdale, Kirkby Stephen, Appleby, Langwathby, Lazonby & Kirkoswald, Armathwaite, and Carlisle. Settle Station was opened in 1876 and is southern gateway to the line. The sign at the entrance welcomes passengers to ’72 miles of scenic splendour’. The signal box has been refurbished and is open to visitors. The station is located on Station Road in Settle (postcode BD24 9AA). Around 1½ miles out of Settle there’s a large derelict stone structure on the right. This was a Hoffmann lime kiln, used for producing quicklime from limestone. Just before entering the small town of Stainforth, the train passes though the Stainforth Tunnel, the first of 14 tunnels on the line. Just after Stainforth two small viaducts cross the River Ribble. Horton-in-Ribblesdale Station is a small station owned by the Settle and Carlisle Railway Trust. The beautiful flower beds are lovingly maintained by a volunteer gardener. A sign shows the distances to London and Carlisle; 65 miles and 242 miles respectively. Pen-y-ghent, the lowest of the Yorkshire Three Peaks, can be seen from the station. The Pen-y-ghent Café in the village is the traditional starting point for the Three Peaks Walk, a 24 mile circuit that includes the tops of Pen-y-Ghent, Whernside, and Ingleborough. The café has a unique clocking system for walkers. Before starting the journey walkers obtain a card and get it time stamped by an antique clock. Those completing the journey within 12 hours are eligible for membership of the Three Peaks of Yorkshire Club. Just before Ribblehead Station there are several areas of limestone pavement, exposed areas of limestone resembling paving. Ingleborough, the second highest mountain of the Yorkshire Three Peaks, is on the left. The station is located just south of the Ribblehead Viaduct. After it closed to passengers in 1970 the northbound platform was demolished to make way for a quarry siding. It reopened in 1986 and the platform was rebuilt, further to the south. The station building houses a shop selling railway memorabilia and a museum with exhibits detailing the history of the railway. The caretaker at the station offers guided tours. Just down the road is the Station Inn, a great pub offering decent beers, freshly made food, and accommodation. The pub is famous for its ‘loo with a view’. Patrons can admire the Ribblehead Viaduct from a small window in the toilet. Ribblehead Viaduct is the most famous landmark on the Settle to Carlisle Railway. There is no other sight like it on a railway in Britain. At 440 yards it is also the longest viaduct on the line. It features 24 magnificent arches and its highest point is 104 feet above the ground. Below the viaduct is the site of the Batty Moss encampment where thousands of navvies lived when the railway was being built. Little remains of the camp but the track bed of the old narrow-gauge tramways that brought materials to the site can still be seen. When the viaduct was restored in 1991 it was made single track to limit the load to one train only. Freight trains can occasionally be seen waiting for a passenger train to pass over it. The viaduct is curved and can be seen from the train. 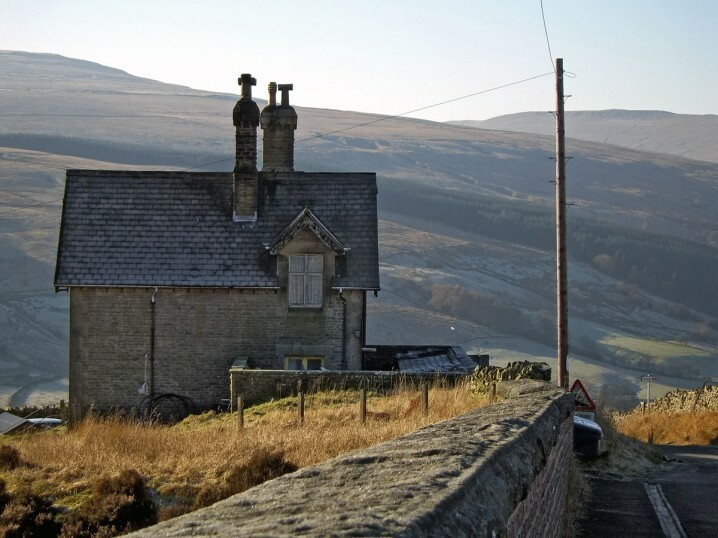 However, better views can be obtained by getting off the train at Ribblehead Station, having a walk around, and catching a later train to complete the journey. This ancient church is not visible from the railway, but is important as it illustrates the suffering endured by the workers who built the railway. Of all the churches on the route the St Leonard’s has the most graves. Many of those buried here the wives and children of the navvies. So many people died in the area that the Midland Railway paid for the graveyard to be extended. There are thought to be mass graves at the end of the graveyard. St Leonard’s Church is situated in Chapel-le-Dale, two miles down the B6255 from the Ribblehead Viaduct. This isolated signal box lies just before the entrance to Blea Moor Tunnel. There is no road here and every day the signalman has to walk over a mile to reach it. The Blea Moor Tunnel is 2,629 yards long and is the longest tunnel on the line. At its deepest it is more than 500 feet below the surface of the moor from which it takes its name. Heaps of rubble excavated from the tunnel during its construction can be seen immediately after exiting the tunnel. Seven construction shafts were sunk down from the moor above. Four were filled when the work was completed, but three are still in use as ventilation shafts. There are massive spoil heaps by the side of each shaft, clearly indicating the route of the tunnel below. Arten Gill Viaduct has 11 arches and is 220 yards long. It is built from local stone known as Dent marble. It is featured in a scene from Miss Potter, the film about the life of the children’s author Beatrix Potter. Dent Station is 1,150 feet above sea level and is the highest mainline station in England, as indicated on the sign here. The station building is privately owned and has been converted to luxury self-catering holiday accommodation. On the left of the track is the old stationmaster’s house. In was built in 1875 and was the first house in England fitted with double glazing. Risehill Tunnel is 1,213 yards long and is the second longest tunnel on the line. At Garsdale Station there is a statue of a dog called Ruswarp, He was owned by Graham Nuttall, co-founder and first secretary of the Friends of the Settle-Carlisle Line. In the 1980s when the Settle to Carlisle Railway was under serious threat of closure, thousands of people signed objection forms. Ruswarp also signed a form. His paw print was accepted by the government as a valid signature as he was a fare paying passenger. On January 20 1990, shortly after the line was saved, Graham Nuttall and his dog went walking in the Welsh mountains but failed to return. Graham’s body was found by a walker on April 7, 11 weeks later. Remarkably Ruswarp stayed with his owner’s body for all this time. The dog was so weak and malnourished it had to be carried off the mountain, but lived long enough to attend Graham’s funeral. The statue, by sculptress Joel Walker, honours the campaign to save the railway and the loyalty of man’s best friend. Ais Gill is the highest point on the line and is 1,169 feet above sea level. There’s a maroon sign on each side of the track marking the point. Shortly after Ais Gill is Hellgill Force, the highest waterfall on the River Eden. From here the railway follows the Eden all the way to Carlisle. The remains of Lammerside Castle can be seen to the right of the track, around one mile before Kirkby Stephen. It dates back to the 12th century but was rebuilt and strengthened in the 14th century as a pele tower to provide shelter from Scottish raiders. The station lies around 1 mile from the town of Kirkby Stephen and has recently been renovated. The Midland Railway Room, in the station building, houses a tearoom and an exhibition of railway related items. There’s also a new footpath leading across the fields into the town. If offers a much safer route than the busy main road, which has no pavement. Smardale Viaduct is 130 feet tall and is the highest viaduct on the line. 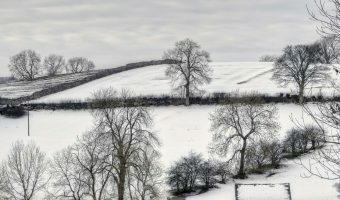 Nearby is Smardale Gill Viaduct. It used to carry the line from Tebay to Kirkby Stephen East station (now closed) over Smardale Beck. It has now restored as a pedestrian walkway. Appleby Castle can be seen on the approach to Appleby station. Unfortunately this 12th century castle is a private residence and is not open to the general public. Appleby Station is built of brick, unlike the rest of the stations on the Settle to Carlisle Railway which were constructed using stone. There is a plaque at the station in memory of Bishop Eric Treacy MBE, a famous railway photographer. In 1978 he died here from a heart attack while waiting for a train. The Friends of the Settle-Carlisle Line also have a shop here. Langwathby Station was built using red sandstone and serves the village of Langwathby. It houses the Brief Encounter cafe, named after the famous film of 1945. Scenes from the movie were actually shot at Carnforth station in Lancashire. The Little Salkeld Watermill is the only fully operational watermill in Cumbria. Guided tours of the mill are available. There’s also a tearoom here offering organic meals and drinks, plus breads made using the mill’s own flour. 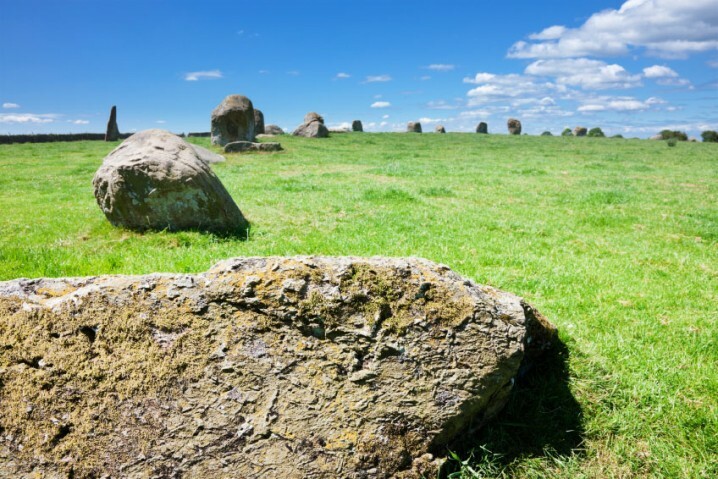 This impressive stone circle can’t be seen from the railway, but it’s possible to walk from Langwathby to Lazonby passing Long Meg en-route. This station serves the villages of Lazonby and Kirkoswald, but is actually located in the centre of Lazonby. Kirkoswald is one mile to the north. Carlisle Station opened in 1847 and was designed by Sir William Tite, also responsible for the Royal Exchange in London. The station is the northern terminus of the Settle to Carlisle Railway but is also on other lines including the West Coast Main Line (London to Glasgow/Edinburgh), Cumbrian Coast Line (Carlisle to Barrow-in-Furness), and Tyne Valley Line (Newcastle to Carlisle). The station is located on Court Square in Carlisle city centre (postcode CA1 1QZ). Facilities include a car park (parking charges apply), cycle storage, a ticket office, and a taxi rank. 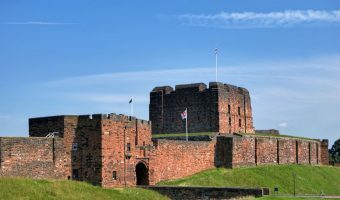 Carlisle offers plenty of attractions include Carlisle Castle, Carlisle Cathedral, and the Tullie House Museum & Art Gallery. Audio guides, in mp3 format, are available on the official website. Descriptions of sights are timed to coincide with an actual train journey. 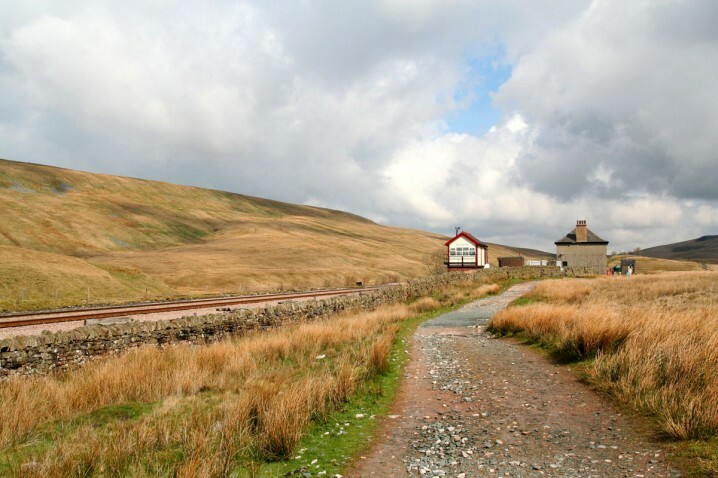 The Friends of the Settle-Carlisle Line offer regular guided walks between stations along the line. These are free and are led by experienced volunteers. Details of upcoming walks are available on their website. In the early 1980s things were looking bleak for the Settle to Carlisle Railway. Passenger numbers were low, there were just a few trains running each day, and the infrastructure was falling apart. British Rail wanted to close it. In 1981 a group of objectors formed the Friends of the Settle-Carlisle Line, and launched a vigorous campaign to keep the line open. The publicity led to an increase in passengers and as a result British Rail’s justification for closing it became weaker. In 1989 Michael Portillo, Minister of Transport, refused British Rail permission to shut it down. Portillo describes saving the Settle to Carlisle Railway as ‘his greatest achievement in politics’. Today passenger numbers are high and the line is profitable. The railway is also heavily used by freight trains, most carrying coal from Scotland to power stations in Yorkshire. The Friends of the Settle-Carlisle Line still exist but their main activities today are leading guided walks, maintaining stations, providing on-train guides, and promoting tourism. Map showing location of Settle to Carlisle Railway. You can see some very dramatic scenery on this railway. It’s well worth taking a trip here. 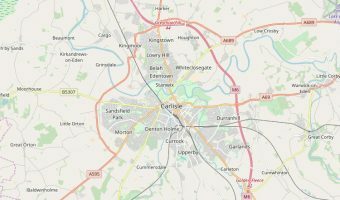 Interactive map of Carlisle. Shows hotels, tourist attractions, transport links, and more. Small town at the head of the Eden Valley.